Note that "Q1 2014" means from January 1 - March 31, 2014. Also note that even if you have a Citi Dividend Card, the enrollment is not automatic. You have to login and sign up for this offer at the Citibank website. I look at sales fliers online weekly and match coupons and sales. 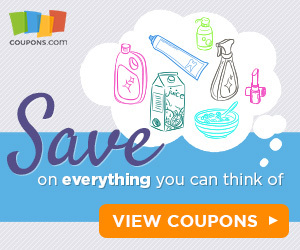 Use Coupons.com and print your own groceries and other coupons. Avoid impulse purchases. Make yourself go to a store twice before you make a big purchase. Match up coupons with sales. Use coupons, watch sales and check the clearance racks. Also use coupon codes when shopping online. You can use this coupon code: DRYBB on these websites: Diapers.com, Soap.com, Wag.com, YoYo.com, BeautyBar.com, Casa.com, AfterSchool.com, Vine.com, Bookworm.com, and Look.com. You will save 20% off your first order from EACH website. Thanks again to all of my readers who contributed many of these tips. If you have more money saving tips, please share them in the comments below. Your tip may be featured in a future compilation!